Get Jacqueline's silhouette on a new style of tank top that comes in extended sizes and is more durable than before! 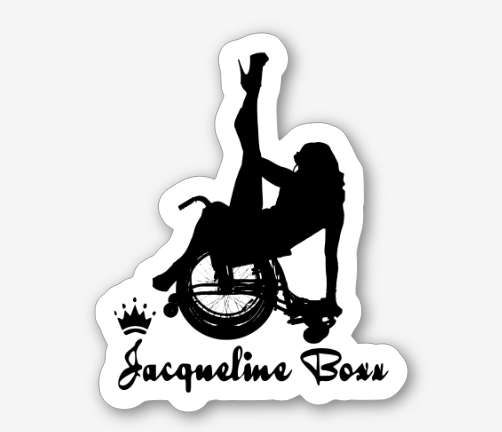 Show off that you're a DISABILIBABE and a Jacqueline Boxx fan! This is a Charcoal Triblend Bella Ladies 3.4 oz. 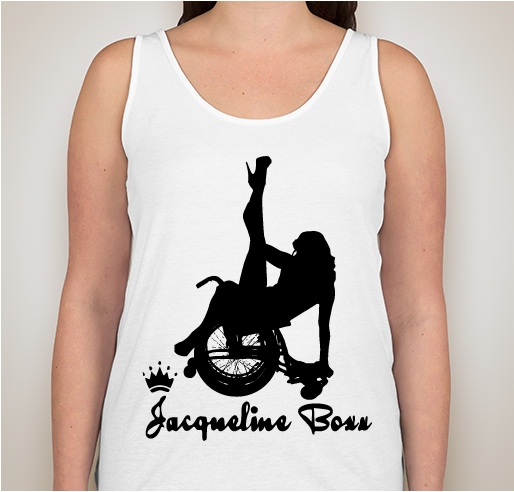 Triblend Racerback Tank, and it is printed with "DISABILIBABE" across the chest with "Jacqueline Boxx" printed on the bottom of the back, including a small crown over the "J" to reference Jacqueline's signature act. Limited supplies for first run! (Name: Chest in inches) *Stretches up to 5 inches more in every direction! Please allow 1-2 business days for processing before shipping. USPS shipping is 1-3 days for delivery. Wha-bam! That's what this pose by Jacqueline Boxx says, and what it will say wherever you stick this sticker! Wha-bam! Guess what is now available as a MAGNET that you can attack to your fridge, car, or other assorted magnetic location! Choose your favorite of these three images and receive a signed 8x10 glossy print!